I have been slowly reviewing Mike Breen and Steve Cockram’s book, Building a Discipleship Culture. But I will no longer be doing so, and I explain why in this post. I have been very influenced by Mike Breen’s material. I have also read Building a Discipling Culture three times. 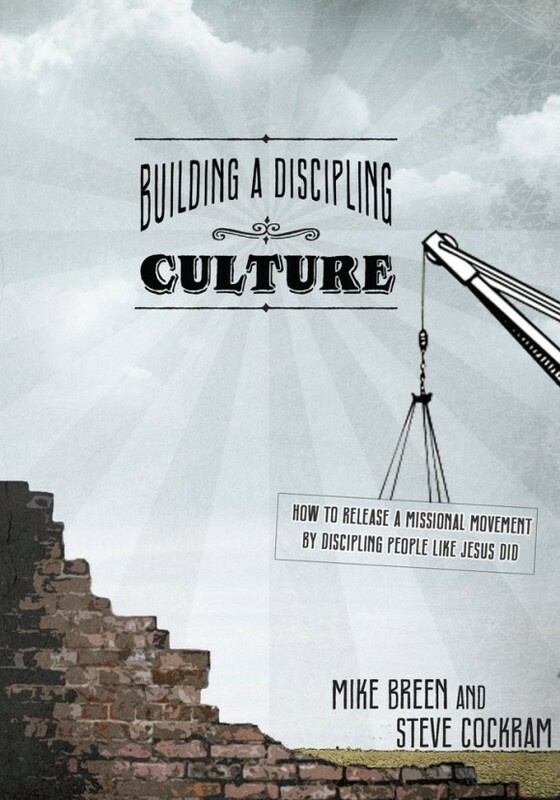 So I appreciate Breen’s work, and I think that Building a Discipling Culture is an important book for ministers to read. Because of this, I started blogging through it several months ago. I wanted to work out my thoughts on it, but summarize his ideas for those who haven’t read his books. But I’m stopping this series. I will not continue blogging through Building a Discipleship Culture. Let me explain why. Before I explain, let me highlight a few things I find helpful about the book. Prioritizing Discipleship: Before I read Breen’s book, I gave lip service discipleship. I thought it good in theory, but it wasn’t a priority. While reading Breen’s books, I was motivated to work hard to become as good a disciple-maker as possible. Rejecting the Staff-Centered Model: Breen’s ideas counteract the tendency in churches and ministries to make the professional ministers the ones who do much of the work. But Breen advocates that the ministers train and equip others to live missionally in the Kingdom of God. I need that encouragement, because the momentum in every church pushes increasing amounts of work onto the staff. This is not healthy for the church, but it is also unsustainable for the staff. Simple But Powerful Concepts: I have a strong drive to complicate things. If I designed my own discipleship system, I would add too much to it. The system I would end up with would be unwieldy and cumbersome. But Breen’s system is build around simple but powerful shapes (the LifeShapes). I initially found them cheesy. I didn’t think I could use them. And they are cheesy. But I can’t deny the powerful simplicity of several of the LifeShapes. I’ve seen lives transformed through people prayerfully discerning how to live out these LifeShapes. Whether one uses the LifeShapes or not, Breen’s approach is a model for clearly exlaining insights in a simple but powerful way. Focus on Leaders: All ministries, except fot the smallest ministries, will have more people in the group than the minister can be involved with. Many ministers deal with this in one of two ways: either they take a “first come, first serve” policy and serve those who show up, or they try to spread themselves so thin among everybody that they burn out. Breen’s focus on leaders is crucial. He says that if you disciple leaders, everyone else in the church will be discipled. I think he’s right. As should now be clear, I have a lot of respect for Breen’s material. But there are some things I don’t like about it, and these reasons are sufficient reasons for me to stop the review. Later LifeShapes: The earliest LifeShapes are my favorite, and they are also the most helpful in my context. The Circle, Triangle, and Semi-Circle are simple but powerful. But Breen’s later shapes, although not terrible, just haven’t been as powerful for me or the people exposed to them. So I’m not sure it will be beneficial for me to blog through the later LifeShapes. Scriptural Interpretation: Almost every time that Breen defends his concepts using Scripture, he seems to misinterpret the ones he uses. It’s not that I think that his ideas are wrong; I agree with many of his insights. But some of his insights are practical insights, and they don’t necessarily arise from a close study of the Scriptures. Breen’s use of the Bible is often meant to show that Jesus used these concepts in his ministry. The implication, whether intended by Breen or not, is that if you are not employing these concepts then you are not doing ministry as Jesus did. I find this unhelpful, even dangerous. Time Investment: This might be my lamest reason, but it is also one that exerts the most influence in my decision. But I have limited time, and I don’t want to write another half-dozen blog posts on Breen’s book. Why? Because it will be on the sections that I don’t find as helpful. I’m not neglecting what he says. I’ve read the entire book three times. But it takes me a few hours to prepare each chapter review, so I just don’t think it’s the best investment of my time to continue. I have other articles I want to write for the blog. I hope my comments won’t discourage any of you from reading Breen’s book. You might be in a context where you find all of his material helpful. Or you might disagree with some of my assessments of his material, specifically his Scriptural interpretation. So take time to read it. Breen is a brilliant minister, and I pray that God gives my ministry even a fraction of the fruit that his ministry has had. But, for now, I will leave my multi-part summary and review of his book where it is. Thank you for the time you’ve taken to thoughtfully review Breens theory and approach to discipling. I agree that a simple approach is beneficial in discipleship; but have also struggled with the implications in his work that this was the way Jesus discipled. The scriptures mentioned for each shape seem to support the ideas, but generally the ideas do not hold out when the scripture is kept within the context. The greatest concern I have about churches and people rushing to embrace Breen’s methodology comes later in the book when it states that the goal is to see “the shapes incarnate themselves into the people you are discipling….their lives look like the shapes have been incarnated.” I thought the true goal of discipleship was that our lives would reflect Christ. Specifically, the Fruit of the Spirit is evidence of a Christ-follower, not shapes. Thanks again for your balanced, honest review. Thank you, Steven. I think that the LifeShapes can be tools for having people’s lives reflect Jesus’s life. But I think those employing them have to constantly be on guard against misuse of them, unjustifiable misreadings of Scripture, and elevating the tools (LifeShapes) above the goal (becoming Christlike). Micah, thanks for these reflections. I think the LifeShapes, especially the first 5-6, help those of a secular Western culture grow as disciples making disciples. Simple, exponential! I also struggle, as you know, with how he sometimes takes scripture out of content. Well said! Thank you, Gailyn, for your comments. I agree with you that some of the LifeShapes are very useful. I’ve rolled out the first three in my discipling within my ministry. As I progress in this, I might come back and summarize a few more (the one on prayer and the Square of Leadership, perhaps others).